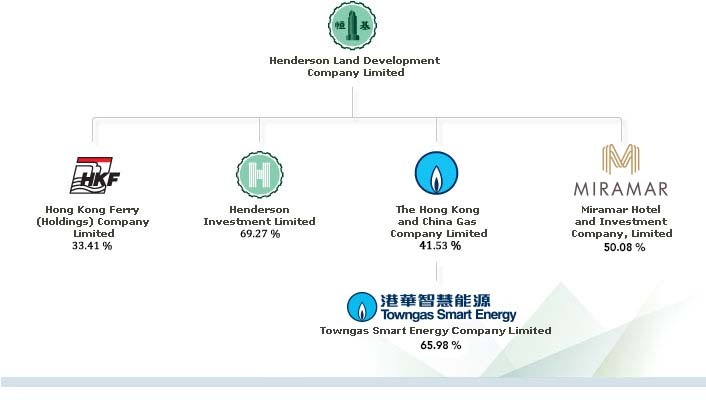 Henderson Land is one of Hong Kong's largest business enterprises, with 8,590 full-time employees and an operational reach that extends throughout mainland China. Together with our subsidiary and associates, Henderson Land Group comprises six entities that are listed on the Hong Kong Stock Exchange. Note: all attributable interests shown above were figures as of 31 December 2017.